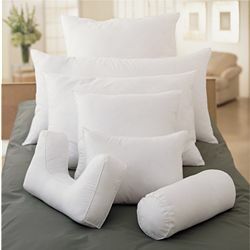 For those who appreciate the ultimate in luxury, our pillow insert is among the most exceptional quality you can buy. We use only the finest White Hungarian Goose Down and Feathers and the highest t/c down proof cotton fabric on the market. The superbly handcrafted pillows are the definition of luxury. We choose only the largest down clusters and the smallest feathers to insure the finest quality.